Summary: Expats in Panama offer 8 important tips about healthcare and health insurance in Panama. While the quality of healthcare varies, there are world class doctors and facilities throughout Panama. Health insurance is much less expensive in Panama. Doctors visits (with and without insurance) are very affordable. The one negative seems to be that medications can be more expensive that in the U.S. Despite these pros and cons, many expats mentioned that people have healthier lifestyles in Panama - cleaner air, cleaner water, fresh produce and less stress. An expat who retired in Boquete, Panama said, "Health care is either middle-rate, or world class, depending on how long one wishes to wait, and how much $$$ you have. No Medicare, of course, and Tricare (military coverage) is available, but not widely accepted." Another retiree in Chiriqui said, "Yes, Panama has first world medical care but also has third world care and everything between. " "The medical, however, is great. I spent 4 nights in a private room with round the clock care and paid $1,800 for everything," commented another expat who retired to Taboga Island. A couple researching a move to Panama inquired about health care costs. They asked, "My wife and I are just starting to research Panama as a retirement destination (which won't be for another 2-3 years). I've seen figures for health care and insurance that seem too good to be true - i.e. $10 doctor visits and health insurance for $250/year. How close to the real numbers are they?" An expat responded, "Hi and welcome to the forum! Short question: long answer. It depends on where you'll be living, but even in rural areas I believe your figures are out of date. You MIGHT be able to see a doctor at a public health clinic for $10, but the wait will be long, and the service not what you're probably used to. Visits to a doctor's office in Panama City where I live run $20 for a generalist and $60-65 for a specialist, after the pensioner's discount. Insurance rates depend on what kind of plan you are looking for (local or international), the deductible you choose, and your pre-existing medical conditions. I find diagnostic tests and prescription medications cost more than in North America. I suggest when you come on an exploratory visit as part of your due diligence you consult a local health insurance broker and visit a pharmacy to see the availability and cost of your medications. Good luck!" When another newcomer asked about healthcare and health insurance costs in Panama, an expat replied, "You did not say if you had any pre-existing medical issues. If not, your age will determine your medical premiums. My husband was 64 when we received our medical at Chiriqui Hospital and we pay $138 a month for the two of us. Now that is just for the hospital's medical which is one of the best in Chiriqui Provence. The average cost to go to a doctor outside of the Hospital is around $40. per visit. Unless you go to a local clinic and it could cost you $15 (approx.). The hospital has most of the really good doctors. As far as your military medical benefits go, I cannot commit on that. Maybe someone with a military medical plan can give you some advice." Yet another expat said, "You spoke about health care, well it's not the same as in the U.S. It's a heck of a lot cheaper. I had a xray done for 20.00 - set my broken arm in a cast for 65.00. Try getting that for that price in the U.S. Many towns have free places you can walk into and see a doctor, tell him what the problem is, walk out, and go get the meds. Your only cost is the meds. and they are cheaper as well. Many times sold by the unit, instead of the whole box. Your health starts with the food you eat, down here you can find fresh grown food and sea food caught that day, not grown with chemicals. Nothing added to your water supply either, ours in El Valle is better then bottled water you buy in the U.S. Our air is better as well, we don't have huge factories pouring out smoke every day." Numerous people were asking questions similar to this one, "I am looking at retiring and spending time in Panama but also the U.S. If I get health insurance in Panama can I use that health insurance policy in the U.S. if need be in case of emergency? I am 56 and would most of the time in the US, but let's say I had to have cancer treatments could I then go to Panama for those treatments at a lesser cost of insurance. I guess my big issue is that right now under the Affordable Care Act my cost or what I would need to budget is $24,000/year. That being the premium and deductible. $12,000 + $12,000. That is just too much and I am not sure how to get around that. Any suggestions would be welcomed." One expat responded, "No, most plans here are 'Hospital' plans. If you get an 'International' plan it is costly and most International plans don't cover the U.S. That is why I always tell anyone who will listen to make sure you get your medicare entitlement when you qualify from the U.S. My husband and I have Medicare A, B, C, D. Example: 2013 we went back to the U.S. and my husband was in the hospital and had cancer treatments, our total out of pocket in the U.S. was approx. $1,100. his bill was around $90K. You will need a U.S. Address. We used our daughters address because that is where ALL our mail comes to and where we stay when we go up to the U.S. (Our second home)"
Another expat said, "If you are a Panama resident, Cigna Global has a plan that will give you international coverage, including coverage in the U.S. for up to 90 days a year. The rates are very affordable compared to the U.S."
"Worldwide Medical also has international plans that will cover you while in the U.S. I think there is a limit to the number of days you can spend in the U.S., though. There are very few local or regional plans left in Panama - most have been bought out by the big insurance companies, so regional coverage is very limited. As an example, Hospital Chiriqui in David used to offer a great regional plan, with great (basically 100%) coverage and with access to one of the biggest and best hospitals in Panama City. That regional plan was bought out 2 years ago, and now the best you can get is a maximum of $24,000 in coverage with no access to PTY hospitals," explained one expat. 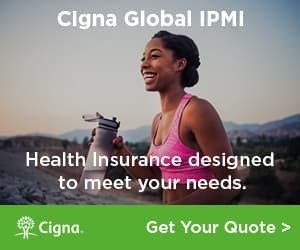 If you are interested in private expat health insurance in Panama, get a quote from our trusted expat health insurance partner, CIGNA. When asked about choosing a doctor and hospital, one dad whose wife had a baby in Santiago, Panama replied, "[We went to a] private clinic in Santiago - Jesus de Nazareno. Top quality from the doctors and nurses. My wife was attended by the Gyn or Pediatrician from the moment she went into labor until the baby was born. The doctors stayed in the same room with us THE ENTIRE TIME and gave us THEIR FULL [attention]. Dr. Villaba (ObGyn) is very well respected in Santiago and was recommended by another doctor. The pediatrician, Dr. Villalaz, is very good with kids and has taken care of my oldest 2. He offices with Villaba. The setup was ideal. The only thing I could have done to make it better - bring a fluffier pillow from home. The care you will receive here is unlike the US. The doctors are very hands on - not afraid to touch you. They have very good bedside manner and are not in a hurry. The Ob you start with will be with you until the baby is born." Another expat who had twins in Panama City, Panama described her experiences saying, "I went to the Centro Medico Paitilla in downtown Panama City. It's a modern hospital with English speaking doctors, however, while not all of the support staff (nurses, technicians) are bi-lingual - they are all very caring and professional. I was given an epidural to manage all pain. I stayed in the hospital ten days, the much lower costs ensured my insurance company did not have any issues with the length of stay. Delivered twins, had two neonatal teams on hand for the delivery, private room for 10 days - all for under $6,000. Don't be afraid, most medical professionals received their training in the United States. Panama is renowed for having the best medical care in all of Central America." "My son's wife delivered a baby by C-Section at Mae Lewis Hospital in David. There were 4 doctors in the OR during the procedure. She stayed in a private room for 3 days. The total cost was $2500.00 including doctors, nurses and hospital. The care was top notch. In Oregon where we lived, the cost would have been $25,000.00. The doctor who delivered the baby has an office within Mae Lewis Hospital. She would return to Mae Lewis to deliver another baby...no problem. Visit Mae Lewis Hospital for consultation. Talk to Javier Adames who is the medical director for the hospital," explained one grandparent whose daughter-in-law had a baby in David, Panama. What Medicines are Available in Panama? A person moving to Panama asked, "Looking into how to go about getting my BP meds [candesartan] under the counter? over it? how many hoops are ahead?" An expat replied, "All meds are available OTC in Panama with the exception of antibiotics and most pain meds. If candesartan is irbesartan, it will be easily available in Panama. So the hoops are: go to a pharmacy (the big chains are Metro and Arrocha) and just ask for your meds. The pharmtech or pharmacist will ask the amount you wish to purchase - from one pill to 30 - and whether you want generic or tradename, and country of production if there is a choice. For non-Spanish speakers, you could write down what you need to give to the pharmacist. If you are entitled to a pensioner's discount, ask for that. Also if you have insurance, get a bill (factura) with your name on it for submission to your insurer. Then you're good to go. Always a good idea to know the tradename and generic name of all your meds, and their prices in your home country for comparative purposes. The price of your meds might be higher or lower than in your home country." Another expat offered insight about the pain killers, "If you'll need a forever supply of a narc/morphine, then you'll probably be hopping from doctor to doctor for a script. The docs down here will only supply those for a short term healing process ... typically 7-14 day supplies. Some years ago I was eating Vicodin and Percocet like flintstones vitimins due to an Iraqi injury. I've since learned to do without and only take the occasional Motrin for the real bad days. American docs are quick to give the heavy stuff out for fear of complaints and legal action, and your doc down here will be quick to tell you pain is in your mind and you need to learn to live with it. The docs down here won't care if you complain. Their only concern is for your true health." When one expat asked about bringing RX medications through customs, she received this answer, "Did you keep a copy of the prescription? If not, I would have the Dr. write a note explaining your meds. Also, carry them in your carry-on or they will disappear. My daughters pain meds were stolen out of her checked luggage. You may not need any explanation, but it's better to be safe than sorry. Also, make sure you separate a months supply in your purse in case they decide to not let you have the rest. I have NEVER had any issues with meds, but this is Panama and it all depends on who you go through in customs. Maybe I have never experienced any issues because this is how I do it. Just don't know." 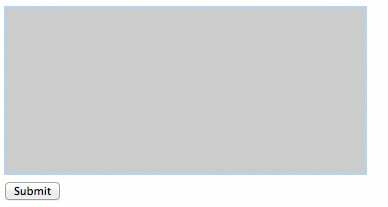 Another expat added, "Hi, just came through customs last week. I had a bag with three months of our medications and there was no problem at all. I'm sure a lot of people, especially seniors, have meds they're bringing with them." Yet another advised, "Definitely!!! Carry your meds in your carry-on! I bring 3 to 4 months supply with me every time I go home to Panama. Have never had a problem. Although I do not use any controlled medications. ie opioids. It would be wise to carry a copy of the script. Hope this helps." A couple thinking of moving to Bocas del Toro asked, "We are thinking of a permanent move to the Bocas del Toro area, however my current med costs are appx $1500/mo. Is there a web site for a pharmacy where I can compare costs in Panama to US prices?" One person replied, "Depending on what your prescriptions are, they could be cheaper in North America, and to have them shipped. If you go back once a year, then try to pick up a years supply, that is if you have a good doctor who will agree to that. Many prescriptions here do not need a doctor to prescribe them. If you know your drugs, you can self medicate. Pick and choose what you need and want at the pharmacy and they will let you know if any of those drugs need a doctors prescription. They have the expensive brand names here, and the knock-offs which are much cheaper and just as effective, using the same ingredients, but a lesser well known name. If you are going to self-medicate, then you best know your drugs and what they do. It is best to work towards a healthier lifestyle and get off your drugs altogether. With exercise and diet I am now free from expensive high blood pressure medications. Lifestyles in Panama can be very healthy. Find out from your doctor what you need to do, in order to become drug free. For some, that is not possible, but for many, it is." Another said, "You did not specify if those were your costs with or without insurance? If you have insurance it's much cheaper to get your prescriptions in the USA and ship/bring them down with you. Also, you need to make sure you can get them here in case you run out before you can get refills. While there are many prescriptions available without a prescription that you would need a script for in the US, here in Panama there are many that simply aren't available- some stomach/nausea drugs, anti-depressants and a number of others simply aren't allowed or marketed here at all, so are impossible to find. Literally. Even in hospitals. There are basic drugs available in most categories but if you need a specialty drug that may be more difficult, if not impossible to find. And yes, it is possible to live a much healthier lifestyle here, however, it's often not possible to get off of the medications you're on, regardless of lifestyle (due to other issues). You need to make sure you also have all of the different names, brand and generic, in English and Spanish when you check to see if you can buy them. There have been medications that were known by entirely different names in Panama then the US and it wasn't easy to figure out.. It's a hassle, but the last thing you need is to be in a different country with no options in terms of what you need to live. And I mean that literally, not in the general sense." Visit our Panama Forum and talk with other expats who can offer you insight and tips about living in Panama. American expats in Panama can enjoy a traditional Thanksgiving meal at these restaurants.